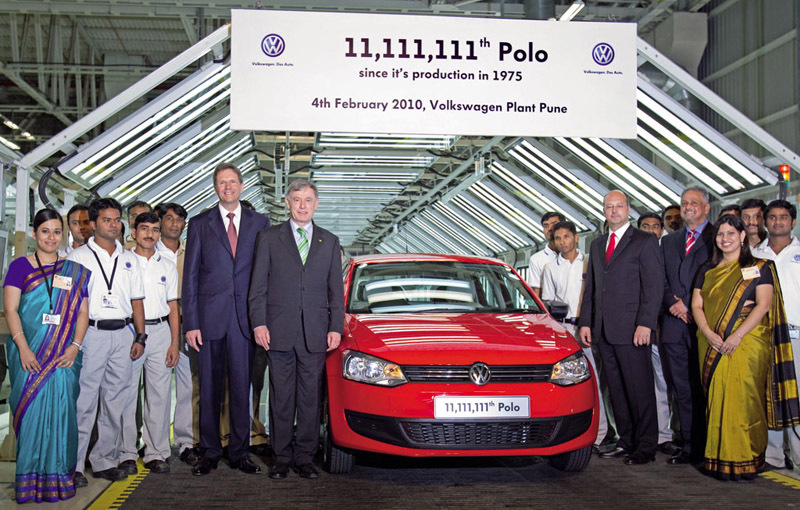 The 35 year of history of the Polo model translated today, at the VW plant in India, in 11,111,111 produced units. 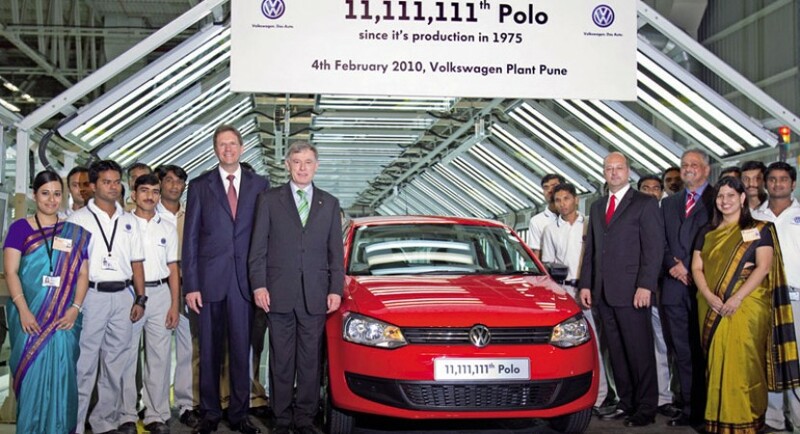 Volkswagen announced today that their factory in India has taken off from the production belt, the Polo with 11,111,111 number, produced in the history of 35 years of the small segment of the German model. The event took place in the Volkswagen plant in Pune, at this event taking part Horst Kohler, President of Germany, and Jochem Heizmann, Member of the Board of VW Group. Celebrated Polo unit comes into market from just two months when the new generation of Polo won the Car of the Year award. The first generation Polo was produced by Volkswagen in 1975, the German model become since the, one of the symbols of the European B segment. Indian factory in Pune which has hosted the event today is the biggest investment of the Volkswagen Group in this country, the annual production capacity is 110,000 vehicles per year. In addition to Polo, Skoda Fabia is also produced here, a model assembled on the same platform of the German group.